How it looks: Simply eye catching and classic with it's stark white cover and vibrant glossy pictures. It is a little large for my taste but the hardcover detail sure is an added flourish! Whats Inside? 200 original recipes gathered from all over the world written out very clearly in a decent sized print over a span of 381 pages. The graphics are to put it simply just stunning and the recipe selection impressive including some interesting takes on our classic Jewish favorites. 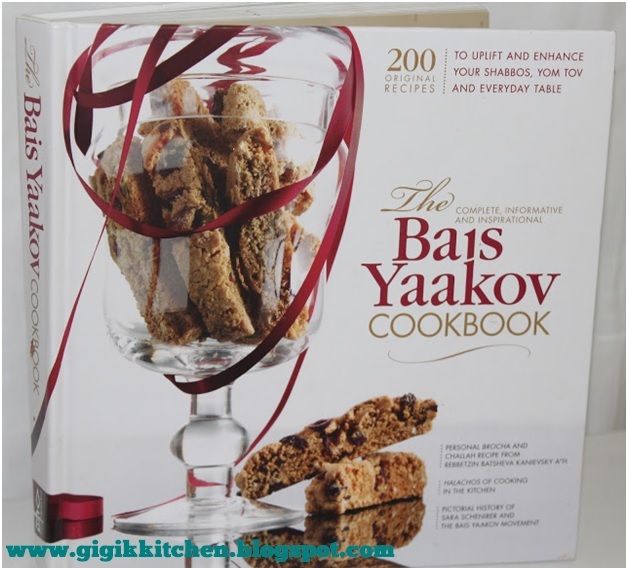 Extras: Towards the end of the book there is an entire section dedicated completely to Halachic guidelines (for Kosher cooking), Culinary Tips, Guide for meats, fish, spices and even one for kitchen gadgets. I also loved learning about some Jewish history included at the start of the book. A detail which really makes me happy as the topic is near and dear to my heart is that proceeds from this cookbook are going to benefit funds for Jewish education which is much needed! What I love: The photos, the clear instructions, the extra guides at the back and the huge array of salad ideas. What I Don't Love: The dairy recipe section in this book is seriously lacking. I know not everyone serves dairy on a regular basis but in my house we enjoy dairy so much! I also found that some of the dairy recipes were quite boring and not detailed enough- I mean come on anyone can buy frozen potato blintzes and give you a recipe for sauce, I would have liked to have a recipe for the actual blintze wraps to me that is far more impressive. 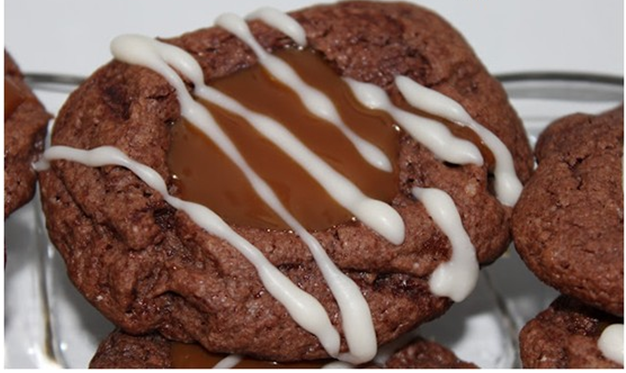 A recipe of my own that was inspired by/incorporated from one in this cookbook is this one for Chocolate Caramel Cookies Drizzled with White Chocolate- yum! I really love this cookbook and I think it would be the perfect addition to any of your collections. It's great for the home cook, caterer and anyone else who likes easy to follow, well detailed recipes while enjoying the fantastic mouth watering photos to go along with it. Hoping this cookbook review will be useful to you if you were unsure on any of the details!